COMMERCIAL SOLAR SOLUTIONS CUSTOMIZED FOR YOUR BUSINESS. As solar photovoltaic systems become more competitive and diversified, more and more businesses and property owners are choosing solar. From solar panels on your roof to stand-alone solar farms, it is becoming not only more common but also more economic to harness the power of the sun. And with a variety of ownership, leasing or financing options, solar is not only a good choice for the planet, it is also a good choice for your bottom line. But with so many options available, many business owners don’t know where to start. We can help. Whether you are looking for a no-money-down financed option, a power purchase agreement, cash purchase, or even renting out your ground or roof space for use as a solar farm, we will work with you to understand your unique needs and match you with the right professionals. We have forged strong partnerships with geographically diverse partners with a broad range of specialties in commercial solar. We’ll do the leg work so you don’t have to. It’s as easy as contacting us for a proposal. Let us help you find your best options. The cost to install solar has dropped by more than 70% since 2010. There has never been a better time to go solar. We understand you are busy running your business, that’s why we partner with you to find you the best options. Our experts will take the time to learn about your business, your electricity savings goals and your objectives with a solar installation. A commercial solar installation can not only be cost-effective, but a significant savings or even a source of revenue for your business. With a broad range of economic options, our partners will help make your best option clear. That’s right. Solar can help you reduce your energy bills, create a new source of revenue, and even reduce taxes. Get started to find out how you can benefit from solar. When you choose Viv to help your business go solar, we provide you with personalized service, and work with you to find the right partners for your project that meet your specific needs. Solar is one of the most direct ways you can reduce CO2 from the production of electricity and make a positive impact on the environment. That’s something to be proud of—and something your customers, employees, and others will be proud of you for, too! Let our team of experts show you how your business can start saving money—or even making money—with a solar installation. IMPROVE YOUR PROFIT. REDUCE YOUR CARBON FOOTPRINT. There are endless benefits to installing a Commercial Solar system. Why does it make sense to go solar for businesses? Business and property owners have a wide range of purchase or financing choices, from a simple Power Purchase Agreement (PPA) that locks in a lower electric rate for a significant period of time, to making money from leasing out property for use as a solar farm. These diverse options provide a fit for most companies’ desired level of commitment and involvement. It’s simple. Just submit your contact details and a recent energy bill, if applicable, on our website or through a Viv Life Consultant. One of our commercial experts will contact you within 72 hours during normal business hours to further discuss your requirements. In order to properly research your needs, we’ll need a copy of a recent electricity bill if you want to install solar on a property that already pays an electric bill, or a land survey if you are interested in leasing your property for a solar farm or community solar project. We’ll determine which one of our industry partners is right for your project and make the initial connection. Together with our solar partners, you’ll get all the information you need, including a site visit, assessments if needed, detailed proposal, finance options and anything else you need to make a good decision about choosing solar. Why choose Viv for your solar project? It’s simple. We are working on your behalf and will find you the right partner and the right solution. Every commercial solar project is different and we have found that there is no one-size-fits-all solution in this industry. That’s why our goal is to partner with a diverse set of industry experts who we know and trust, and then match each and every Viv customer with the right partner. With Viv, you’ll have your Viv Life Consultant, the Viv commercial team, and our chosen partner, all working toward finding your business the right solution. Should I consider AutoPilot or solar for my business? Which one is best? Short answer—both. This is one of the advantages you have working with Viv for your business. Most of the time, a commercial solar project takes a long time. From initial inquiry through to installation can be a year or more. That’s time that you don’t want to continue to pay expensive energy bills. Our AutoPilot program is a perfect compliment to your solar exploration. We’ll take care of automatically managing and switching your energy account to ensure your saving on an annual basis before your solar installation begins to produce clean power for you. 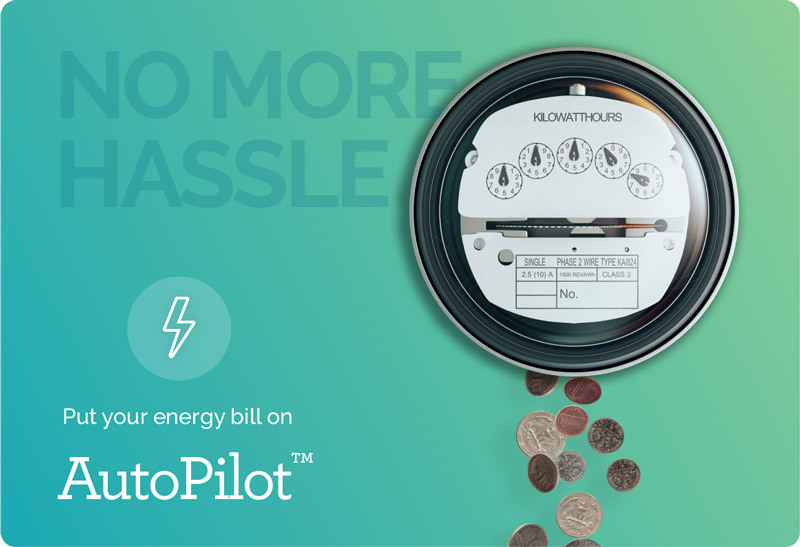 Visit the AutoPilot page on our website for more details. I would like to speak with a Commercial Solar expert, how can I get in touch? If you would like to simply speak to one of our Commercial Solar experts please call us on 833-VIVLIFE between 9am and 5pm Monday through Friday and one of our team will be more than happy to learn more about your business and how we can best help assist you. Every customer and every request is completely unique so we look forward to speaking with you.